You can never have too much Dead Meadow in your collection. In anticipation of their undoubtedly fantastic new album, the Dead Meadow re-release drive gathers pace with this, their long-deleted second offering. If the band's more recent output has tended to emphasise their shoegaze influences, 'Howls From The Hills' trades in a series of more overtly Sabbath-esque riffs, but as with the rest of 'Meadow's output, Jason Simon's high, reed-thin register provides an ethereal counterpoint to the pounding fuzz and searing wah-driven solos. 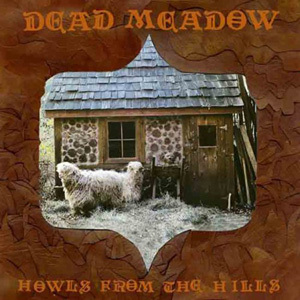 Admittedly, this never quite hits the monumental highs of 05's stunning 'Feathers', but as anyone familiar with the band's live show will attest, the likes of 'Dusty Nothing' and 'Everything's Goin' On' still sound as vital as ever and anyway, you can never have too much Dead Meadow in your collection.